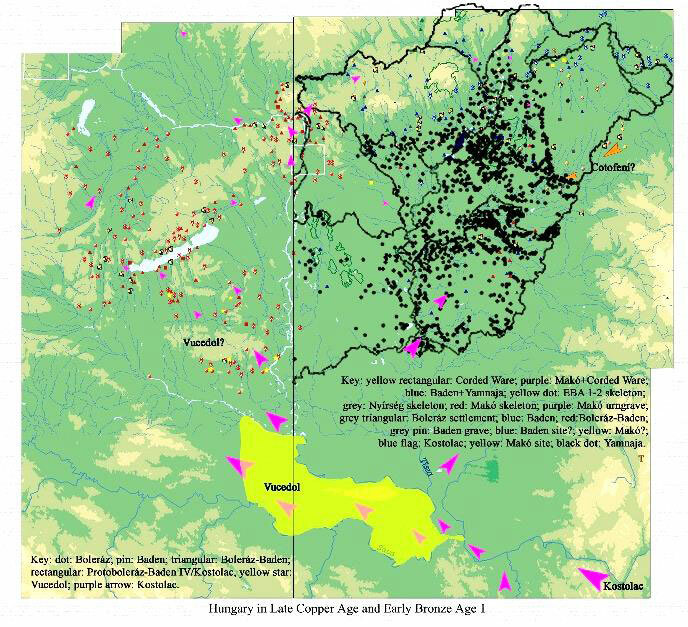 I wrote recently about Anthony’s new model of Corded Ware culture expansion from Yamna settlements of Hungary. 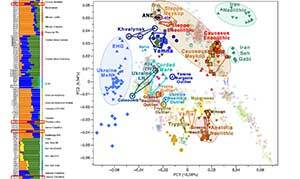 I am extremely sceptic about it in terms of current genetic finds, and suspicious of the real reasons behind it – probably misinterpretations of the so-called ‘Yamnaya ancestral component’ in recent genetic papers, rather than archaeological finds. The multiple patron-client relationships he proposed to justify a cultural diffusion of Late Indo-European dialects from Yamna into different Corded Ware cultures in the forest-steppe and Forest Zone (see one of his latest summaries of the model in 2015). Now the language change is explained as a pure migration event, and cultural diffusion is not an option. 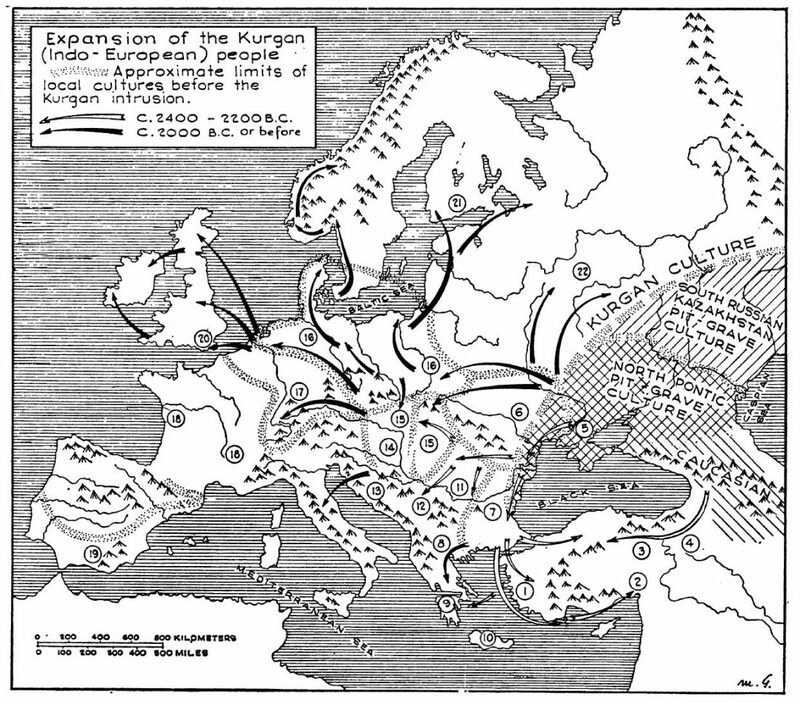 Ergo, if no migration is found from Hungarian Yamna into Lesser Poland, then Corded Ware cultures were not Indo-European-speaking. Ringe’s glottochronological tree for Proto-Indo-European languages (Ringe, Warnow, and Taylor 2002). An early and sudden split of Late PIE dialects in all directions is substituted by a common, Old European language that expanded from a very small area of settlers, in the Carpathian Basin. This is coincident with the current view on North-West Indo-European, and I think that his final acceptance of a sound linguistic model is essential to solve Indo-European questions. The simplistic assumption of Yamna -> Corded Ware -> Bell Beaker migration found in genetic papers of 2015. 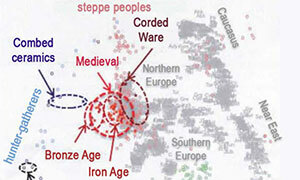 The new model implies Yamna->Yamna settlers (Eastern Hungary). 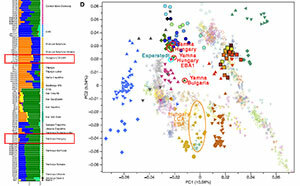 Yamna settlers are known to have developed into East Bell Beakers (as described by Gimbutas and accepted by Anthony originally, and now also found in the adoption of Heyd’s theory for his new model); therefore a Yamna settlers (Hungary) -> East Bell Beaker evolution is evident and mainstream, now clear also in genetics. 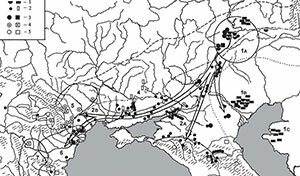 It remains to be seen if the additional Yamna settlers (Hungary) -> Proto-Corded Ware migration proposed by him as a novelty in this new model is also right, i.e. 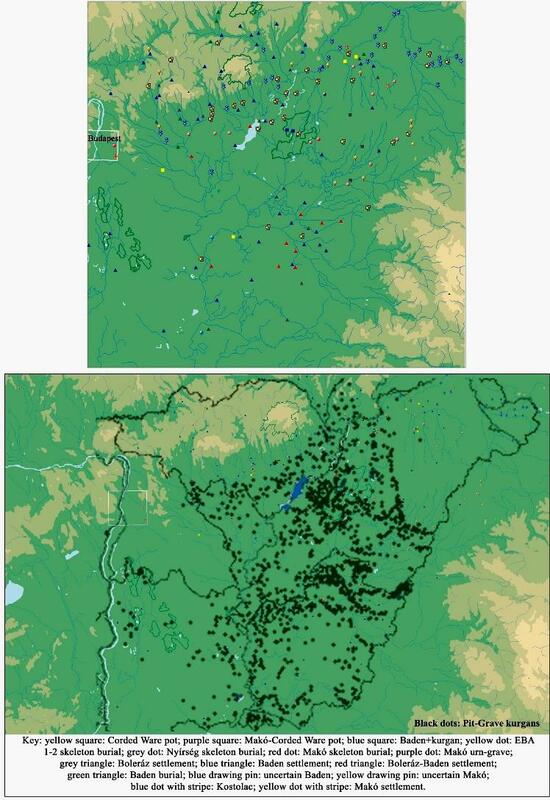 if Yamna settlers from Hungary did in fact migrate into sites of Lesser Poland (to form a Proto-Corded Ware culture). If not, then only Heyd’s model remains. This new model offers thus a more suitable time frame for usual proto-language guesstimates, that would be compatible with a spread of Late Indo-European with Yamna settlers (of R1b lineages) from the steppe into a small region, where North-West Indo-European would have been spoken, and then a potential cultural diffusion through (or founder effect in) a Proto-Corded Ware culture (of R1a-M417 subclades) of Lesser Poland, which is compatible with the Corded Ware Substrate hypothesis. 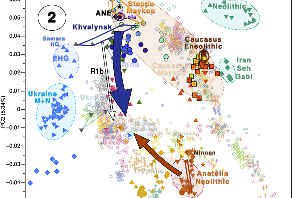 Since Anthony has stuck his neck out in favour of this new theory – changing some of his popular theories, and rejecting what many geneticists seem to take as certain – , and because of his previous impressive improvements over Gimbutas’ simple steppe theory (now apparently fashionable again), I think he deserves that his proposal of Yamna/Late Indo-European expansion in the Balkans be further investigated, if only to be improved upon. I recently found the paper 4000-2000 BC in Hungary: The Age of Transformation, by T. Horváth, in Annales Universitatis Apulensis. Series Historica, 20/II, 51-113. 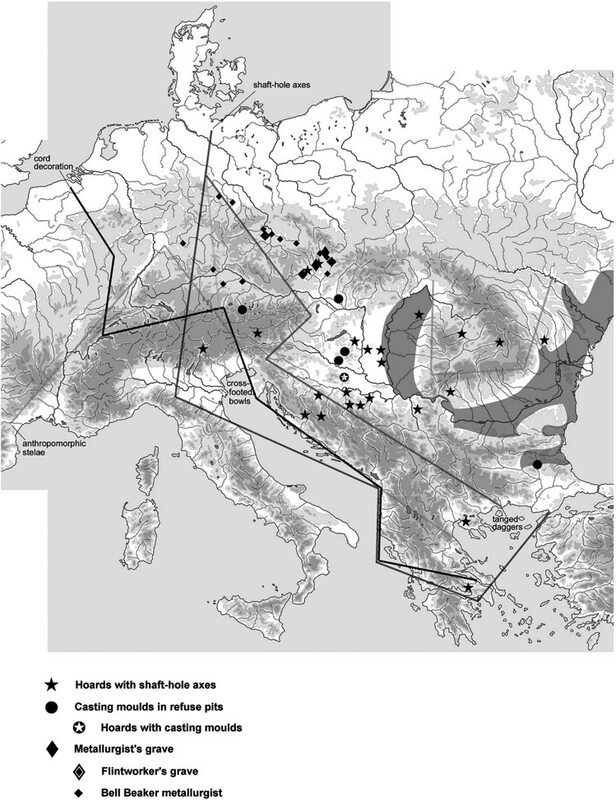 While it deals mainly with the potential survival of the Baden culture into the late third millennium BC, it gives some interesting quite early dates for Yamna (‘Pit’) graves in the Carpathian Basin, and potential cultural (and population) movements within the Balkans. Many researchers may assume that it is unnecessary for us to deal with the Corded Ware and Globular Amphorae cultures of north Germany, Poland and Denmark, and if so it does not matter what the names of the periods are. It actually matters a lot. It is true that in these areas there was no Baden complex, but the period had many Baden (and other) culture “period phenomena”. These seem to part of a larger formation than cultures – evidenced by traces such as cattle burials, the relationship between copper metallurgies and jade – which link these territories even when the culture complexes were different, because these phenomena appear not just in the Baden, but in the Corded Ware and Globular Amphorae area as well (and these cultural complexes partly overlapped each other both in space and time!). Even the characteristics of sites show many similarities: e.g. 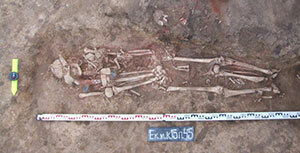 in the northern part of corded ware distribution area, mainly burials have been discovered (similarly to the Pit Grave culture in the Great Hungarian Plain) and in the southern part only settlements appear. At the moment we have no explanation regarding the nature of the relationship between them (it is supposed that as a result of geographical conditions the people of the same culture lived in different ecological conditions and they adapted differently to their environment). 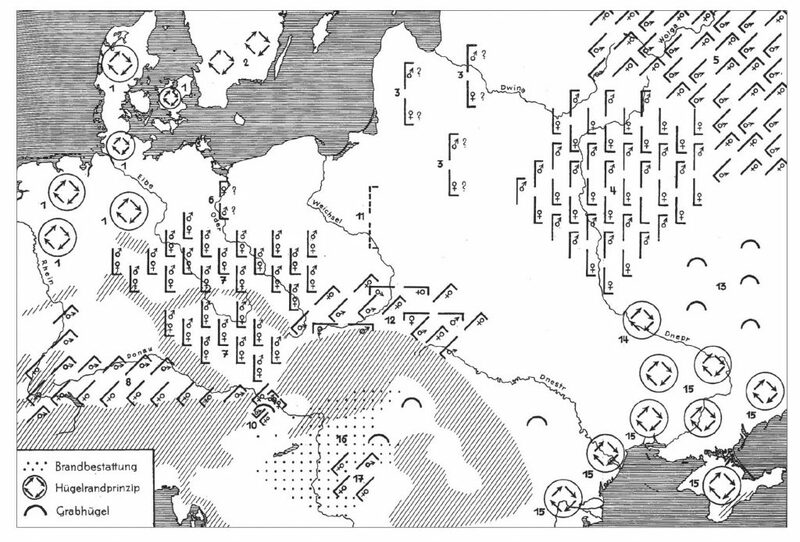 In considering the whole of Europe around 3500-3000 BC, easily observable settlement signs disappeared (Milisauskas and Kruk, “Late Neolithic/Late Copper Age,” 307), similarly to Hungary, even though in Hungary this occurred from the end of the Middle Copper Age to the Early Bronze Age, between 4000 and 2000 BC. 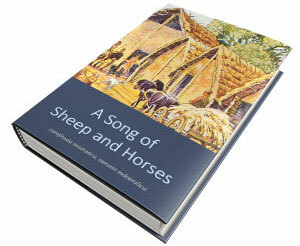 If we do not take into account that the cattle burials of the Baden culture between 3600 and 2800 BC, and possibly even longer than that, have analogies with the cattle burials of areas in the Early and Middle Neolithic Corded Ware culture (because “logically” analogies would be sought in those areas in the Bronze Age but this period is not analogous with that period in those areas), we would not find any spiritual resemblance in their relationships that lies behind their spatial and temporal analogies; cf. comp. Niels Johannsen and Steffen Laursen, “Routes and Wheeled Transport in Late 4th-Early 3rd Millennium Funerary Customs of the Jutland Peninsula: Regional Evidence and European Context,” PZ 85 (2010): 15-58; Horváth “The Intercultural Connections of the Baden „Culture,” 118. It is painful to think about how many relationships we have not explored or even assessed yet! Looking at Pit Grave kurgans on the distribution map, it is apparent that burials are the densest where there were no Boleráz or Baden occupations (in this respect this was a kind of “no man’s land”, but from the whole Late Copper Age perspective it was not: the sites of the Baden complex and Pit Grave complemented each other and even partially overlapped). 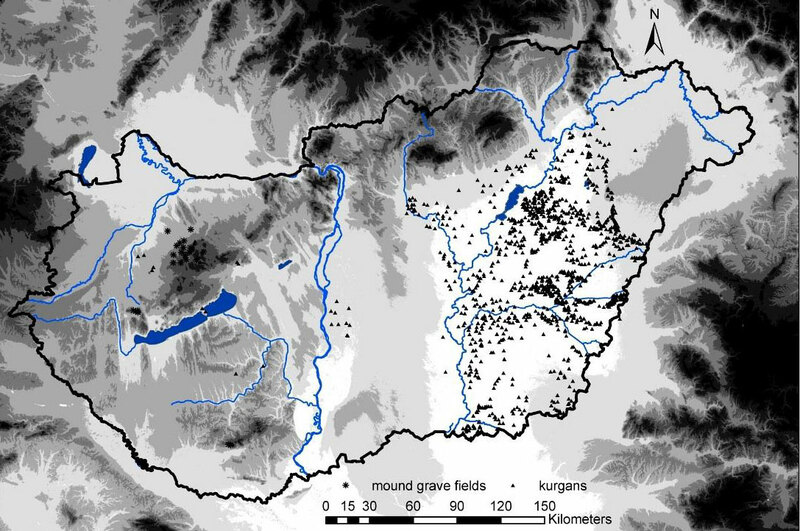 Apart from burials, no Pit Grave settlements or other types of Pit Grave sites are known in Hungary, therefore we do not know whether Pit Grave settlements were situated near the kurgans or whether were somewhere else entirely and we simply have not found them yet. Since the Pit Grave people had a different lifestyle from the Baden, we can assume that, up to the line of the Tisza River, small animal-keeping mobile groups (Pit Grave) met more populated and settled, agriculturalist, indigenous Boleráz-Baden groups. 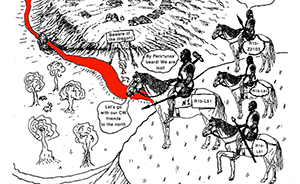 Animal keepers (Pit Grave) settled in areas where agriculturalists (Boleráz and Baden) did not; in some places, however, they crossed each other’s paths (Fig. 5, 7). Sometimes their sites are very close to each other, sometimes they appear on one site and they can be identified in the stratigraphy of a site. In the latter case the kurgan is always situated on top of a Baden settlement, indicating that Pit Grave not only followed the Baden at these sites but may have represented a somewhat higher social power and belief system than the Baden. The relationship between pastoral, patrilineal, combatant nomadic tribes and agriculturalist communities is often described as some sort of patron and client relationship. In reality, the signs of such assumption are not visible in the Pit Grave-Baden relationship. There are cases when more aggressive herders conquered more developed agriculturalist communities, but there are also cases when the conqueror’s culture was more developed or stronger than that of the conquered. Always, the conquering nomads are the patrons, the rulers and the empire builders. In our case, timing is important. How much time had passed on those common sites where a Baden settlement was followed by a Pit Grave kurgan? In these cases, it is certain that the kurgan is younger, but how much younger? 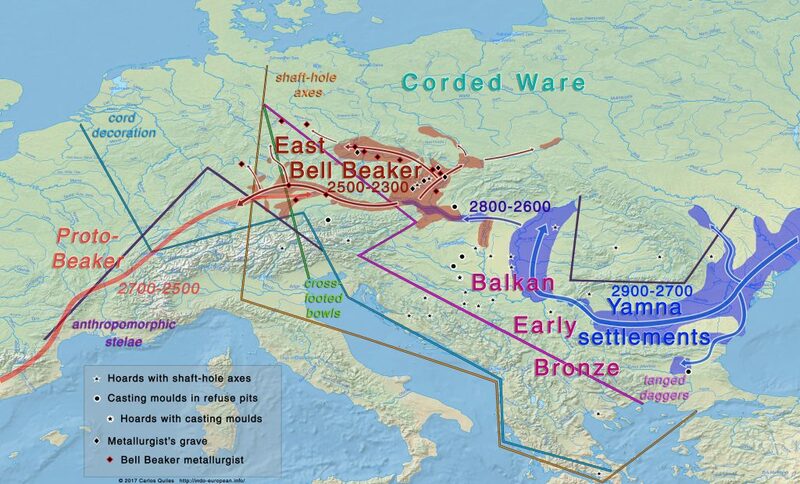 To sum up, the Pit Grave and Baden in the Late Copper Age were certainly contemporary from 3350 BC in the Great Hungarian Plain, and they had common sites, sites which were very close to each other, sites which were far from each other, and also independent sites. The Pit Grave culture surely survived in the transitional period, and into Early Bronze Age I, but perhaps even longer. 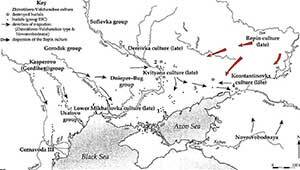 For the most part, the Baden had ended by 2900 BC in the Great Hungarian Plain. 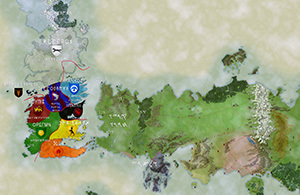 Mapping and some other data (e.g. the discovery that Younger-type, not Mondsee-type, metal objects, which can now be considered to be Baden, even appear east of the Danube River) does not exclude the possibility of searching further for traces of Baden surviving in the Great Hungarian Plain together with or alongside to the Pit Grave. 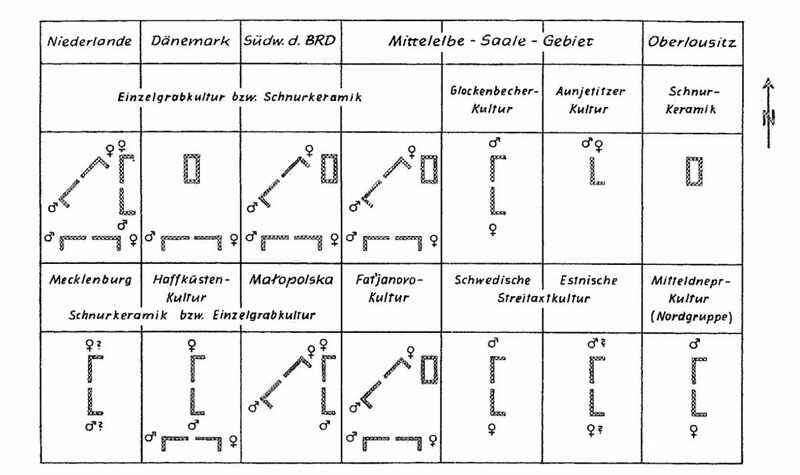 On the common Baden-Pit Grave sites, even without carbon dating, we can assume from already known stratigraphical data that they closely followed each other in time. For those of you interested in more detailed radiocarbon analysis and assessment of Yamna burials and settlements, from the steppe to the Balkans, to investigate Anthony’s theory further – apart from those authors referenced by him – , I can recommend reading Y. Rassamakin (e.g. Import and Imitation in Archaeology, 2008), S. Ivanova, or Claudia Gerling (e.g. 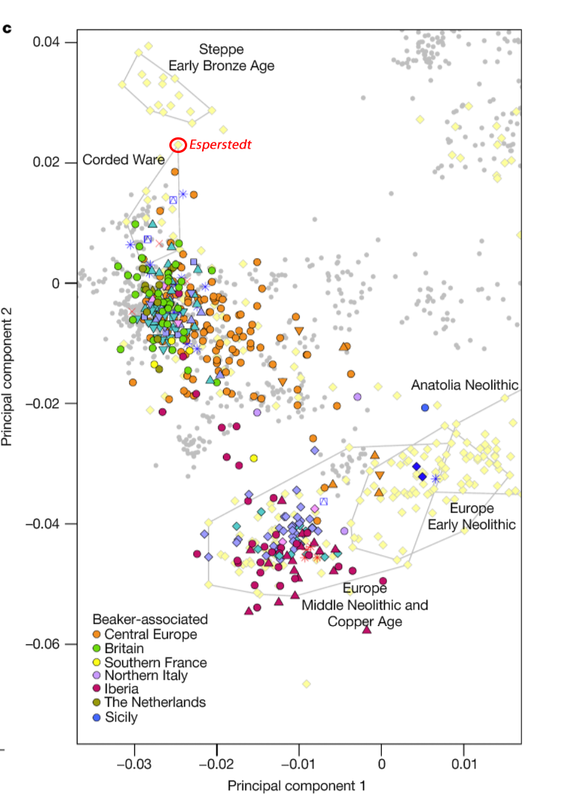 Prehistoric Mobility and Diet in the West Eurasian Steppes 3500 to 300 BC). 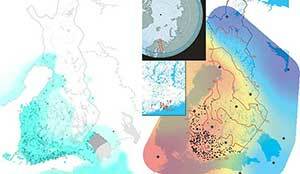 Featured image, from the article, by T. Horváth: Distribution map of the Pit Grave.